VIP guests sample the 2010 award winners at a preview event in Century City. 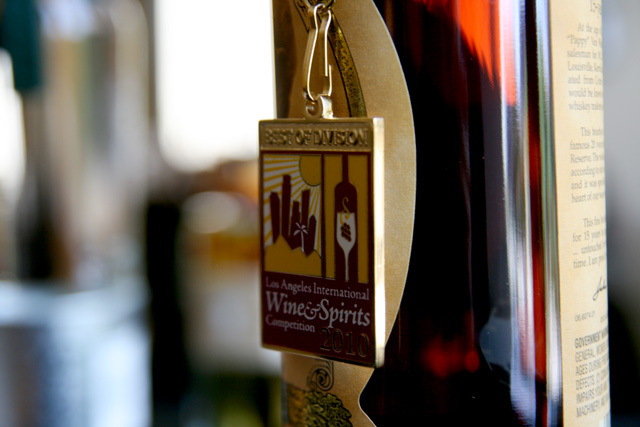 After tasting through thousands of wines and spirits from around the globe, judges have announced the winners of the 2010 Los Angeles International Wine & Spirits Competition. Shortly after the repeal of Prohibition, the LA County Fair began awarding medals to the best of California wines. 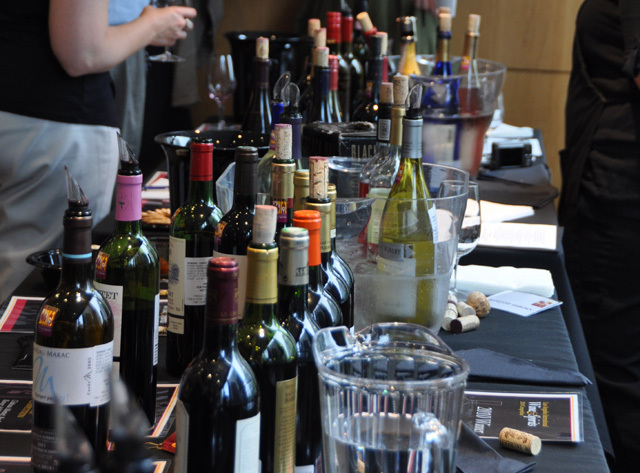 The competition began attracting wines from North and South America, Italy, and in 2002, expanded its entries to wines from around the world. The Extra Virgin Olive Oil competition was introduced in 2000, and the Spirits Category was added in 2007, including acclaimed entries such as this year’s Best of Show, Pappy Van Winkle’s Family Reserve (15 Years Old). 2008 saw the premiere of the Wine World of Sports, featuring sports dignitaries-turned-winemakers such as Tommy Lasorda, who was awarded Best of Show with his Chianti Classico DOCG (2007). The public will get its first opportunity to taste the medal winners this Saturday, June 19, at Wine & Cars Under the Stars, a fundraiser that benefits The Learning Centers at Fairplex. The wines will also be available for tasting at the annual L.A. County Fair, taking place Sep. 4 – Oct. 3, 2010. For the full list of winners, visit lawinecomp.com/2010winners. Up close and personal with Pappy Van Winkle 15-Year, the Spirits Best of Show. 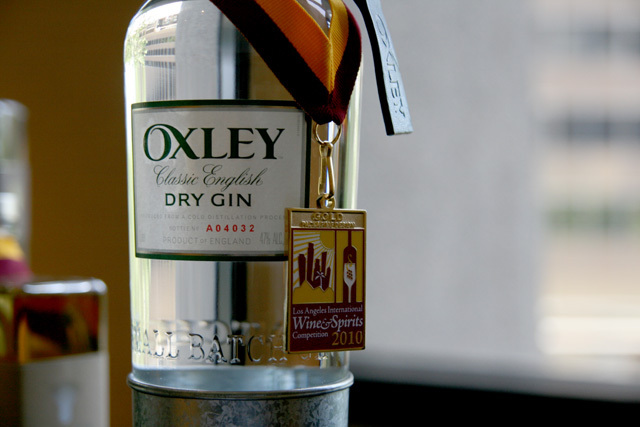 OXLEY Classic English Dry Gin, the Spirits Packaging Design Best of Show. For additional news and information from the Competition, follow @LAWineComp on Twitter or Like the Facebook fan page. Photos courtesy LA Wine & Spirits Competition.